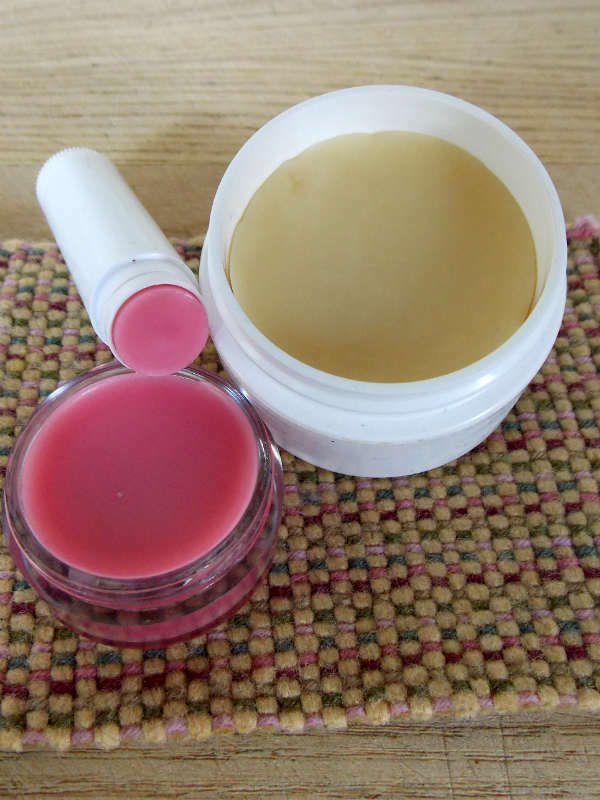 Learn how easy it is to make your very own Lotion Bars and Tinted Lip Balm with this super easy step by step tutorial. These lotion bars make a DIY Gift Idea! Have you ever looked … really looked at the ingredient list on a simple bottle of lotion or moisturizer? What the heck are all those chemicals anyway? And I don’t know if you’ve noticed but there are some body lotions and lip balms which seem to make my skin worse. The cool thing is, we have a choice. 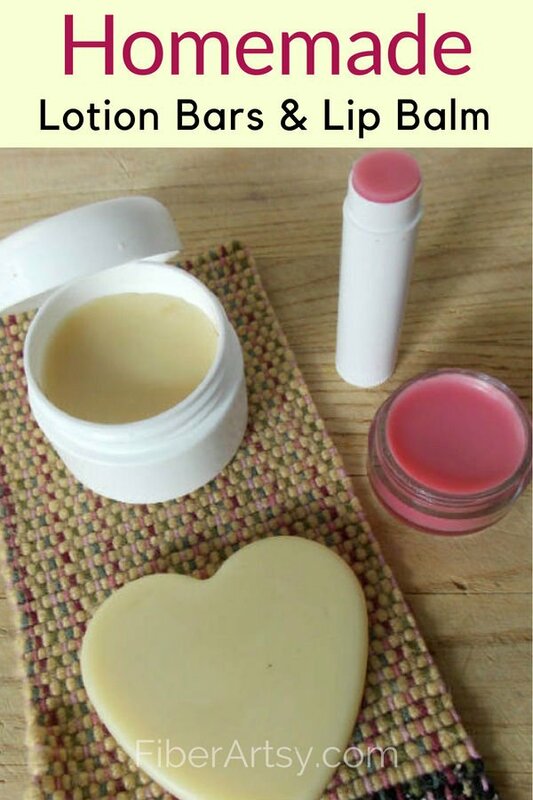 We can make our own with this very easy Homemade Lip Balm and Lotion Bar Recipe. 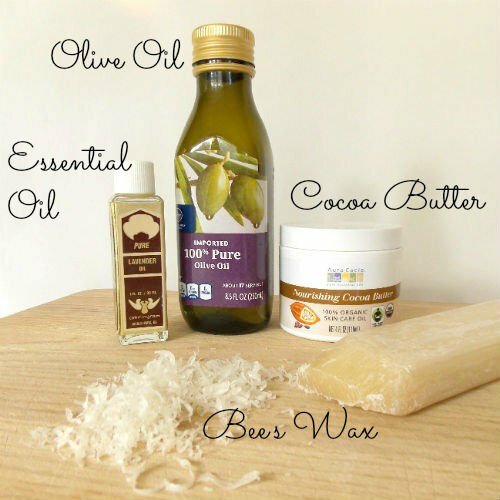 This DIY recipe is super simple with only a few basic, natural ingredients like Cocoa Butter, Olive Oil and your choice of Essential Oils. Plus, these lotion bars can be easily personalized by using different fragrances such as lavender for floral or a more robust scent like sandalwood or musk. Are you thinking DIY Gift Idea?? I give these moisturizing lotion bars away all the time and my friends love them. 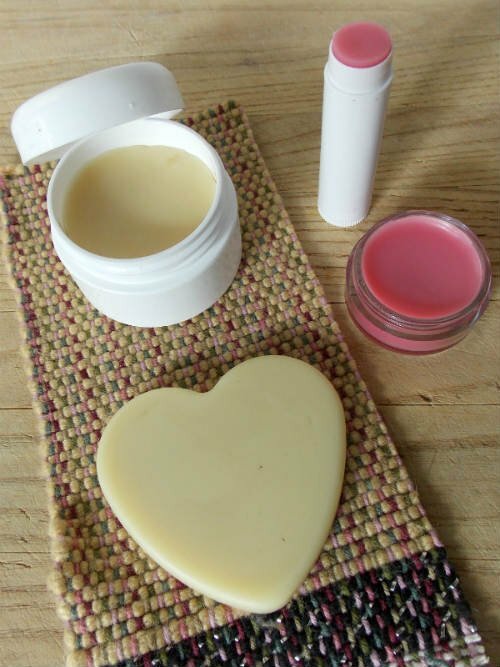 So, here you go… my super simple recipe for making your very own buttery body lotion bars and yummy lip balm. Since these are pure ingredients with no preservatives, it’s better to make small batches. Honestly, I’m not sure of the shelf life but they should be good for at least 6 months. If it smells funny, toss it out and make new. Combine 2 tablespoons of each in the glass measuring cup (or double boiler), then add a dash of lavender essential oil. Place the cup in a pot with some water and heat to simmer until all ingredients are melted. 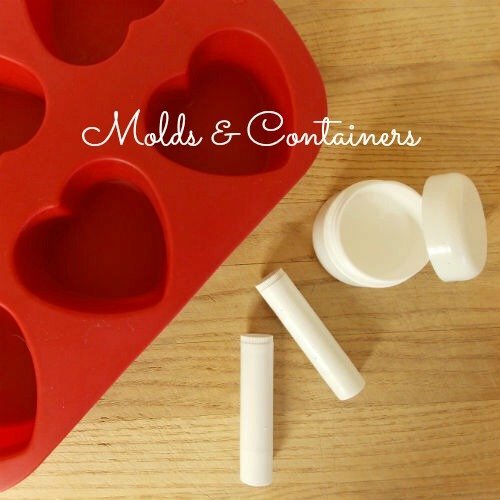 Carefully, pour into 2 molds or lotion containers. Let it set for a few minutes, then place in the refrigerator. Add some of the lipstick to the remaining liquid and stir to combine. If it’s too light, add some more color. Carefully, pour into the lip balm tubes or containers. Place in the refrigerator to set. 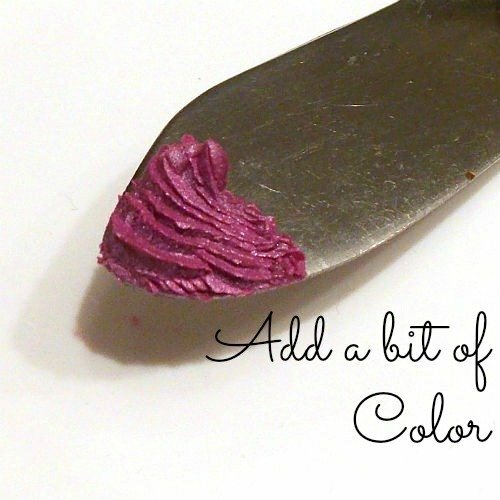 Note: You can also use soap and beauty product dyes instead of the lipstick for color. I don’t recommend food coloring, though as those can stain your clothes. Homemade Lotion Bars are super easy to use. Simply take the bar and gently rub it on your hands or body. The warmth from your skin will soften the bar and make the lotion easy to absorb. There shouldn’t be any lasting greasy feeling. If there is, try reducing the amount of cocoa or shea butter in the recipe. Now that you know how to make your own bars with this super easy lotion bar recipe, make some up for Birthday, Mother’s Day or Christmas presents. Add some thick wash cloths or bath towels and make a Spa Gift Basket for your best friend or Mom. Yup, I always look at the ingredients and avoid the ones with alcohol, parabens and the like. I love the lotion bars, so portable for traveling! Honestly, the only thing I have to say is that this is a very inspirational site. One of my favorite sayings and I am not sure who said it is “the only handicap is a bad attitude”. I am so glad that I stumbled on to it! Oh, JoAnn you just made my day! What a sweet thing to say. And yes, that is also a great quote. Have a wonderful day! These really look great. I’ve never tried making my own, but this doesn’t look too hard it would be fun to give it a try! They are super easy to make! And a lot of fun to customize with scents and colors. This is a great tutorial! I will definitely be pinning! I bet these make great gifts! What do you recommend for storing the lotion bars? Do they hold well at room temp? Since they don’t contain preservatives, they won’t last as long as store bought. I’ve been using one for a couple of months now and it seems just fine. Any extras, I put in the fridge. Just sniff and if it smells rancid or ‘off’, toss it. This is great! 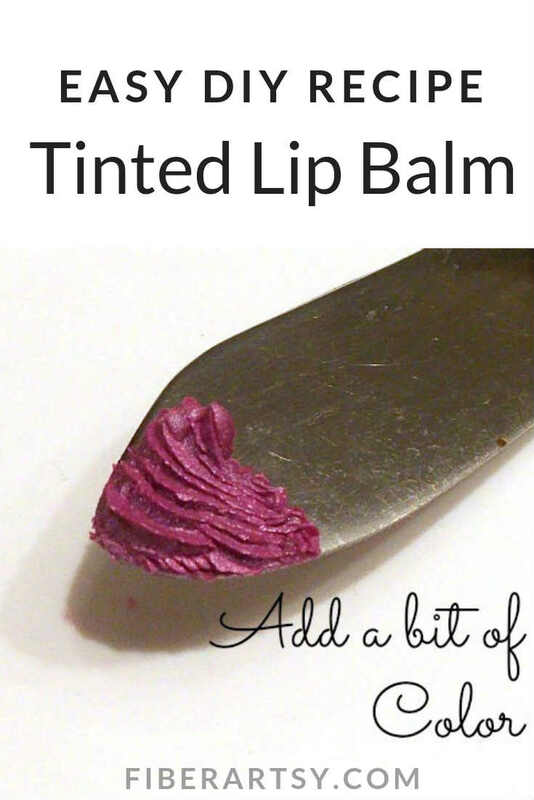 I’ve been toying with making my own chapstick, but I wasn’t sure how to add a bit of color. Thank you! 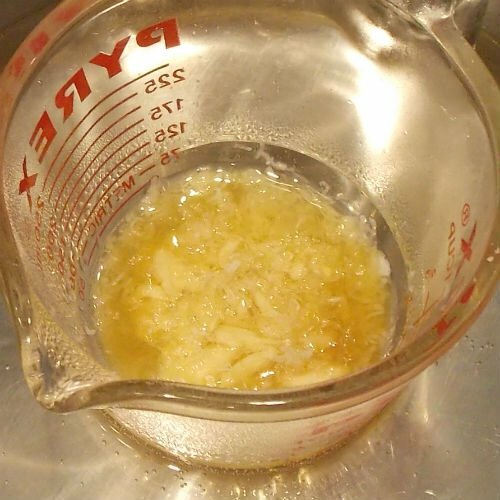 I’ve made the lotion bars before, but mine were a little grease. Guess I added too much oil or something. Need to try them again and try some lip balm. Pinning and sharing! These look gorgeous. We do our very best to stay away from chemicals for any reason in our home, so I am definitely pinning this for later. My 5 year old wore make-up for a dance performance on Saturday night and now she is obsessed. She’s asking me if she can wear make-up for everything we do, with the answer a resounding NO! This will be something we can make together I can feel happy about letting her wear, also providing quality mummy daughter time. So it’s a double whammy =). Thanks for sharing! Oh boy, I had that with my youngest, too! You may be able to use the ‘colored’ lip balm as a rouge, too. That shouldn’t hurt. Thanks for visiting! I love making my own potions. Beeswax is still a little scary to me, however. I look forward to trying it soon! Beeswax is very easy to work with. It melts at a low temp so, not scary. Try it! So glad you like it! It’s fun to make your own lotions and scrubs. Very interesting. I am trying to avoid chemicals and I just getting around to thinking of making some of my own. Thanks so much for bringing this to Fridays Blog Booster Party. I’m gonna have to start doing this! Thanks! I love this and wonder if you have tried using coconut oil instead of the olive oil? Olive oil seems more greasy to me than coconut oil, but I wonder if the consistency of the coconut oil would work in the recipe. Thanks Erin! I hear wonderful things about coconut oil but no, I have not tried it. Coconut is one food (and smell) that I absolutely can’t stand lolol! Wish I didn’t cause there are so many great recipes out there. If you try it, please let me know how it turns out. I love this and wonder if you have tried using coconut oil instead of the olive oil? Olive oil seems more greasy to me than coconut oil, but I wonder if the consistency of the coconut oil would work in the recipe..
I’m sure that coconut oil would work just as well, perhaps better. Personally, honestly, I can’t stand coconut lol so no, I have not tried it.